After college, its work that most fresh graduates look for. They move to cities where opportunities are abundant and easy to find. But this also means they need to look for a place to live. The wisest way to have a house is to rent a property. But leasing is not always the best option. Investors believe mortgage are in all-time low, so this is the right time for young workers to invest on properties. They can look for a perfect house that suits their salary. But before signing a purchase agreement, think of these factors first to be sure you are buying the right property. Don’t settle with the first property you see. Look for several options through mobile applications, online ads, friends, and real estate agents. Just slow down and cautiously choose the perfect house for you. If you can visit the property, then do it. You can easily pick a house if you personally walk-through it and see its features. Budget is the biggest problem for millennials when buying a house. Most young workers are on an entry level position, hence salary is not huge enough. Plus, there may be student loans you need to pay. But you can set up a budget and choose a property that suits it. Off course, you need to adjust your lifestyle. You have more financial responsibilities now, so weekly dinner with friends and impulse buying should be avoided. Ideally, you’d pick a property closest to your office, but if you are working in the business district that would be expensive. Try to look for cities around your job that has convenient and direct commute to office. This means you can save money for gas and be sure you won’t be always late for work. You are thinking of a long term plan here, so you must be sure that the community is healthy and sustainable. If you are in Australia, Lend Lease offers houses for sale in Sydney and other areas around the country. 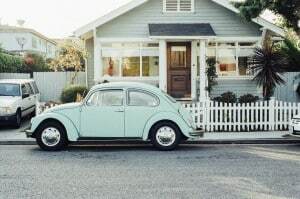 If you are in USA, you can use Zillow, a mobile app that draws data from public records, home owners and real estate agents regarding house for sale. It’s a one stop place for all your property hunting. You may also ask around the neighborhood to know more about the community. It is a long term investment you are trying to purchase so make sure you won’t feel ripped off after signing. Visit the house and ensure that everything works fine. Check the water pressure, the electricity and the overall safety of the place. Don’t forget to review the contract to know what you’re getting and not getting in your new home. It would be difficult for you to buy a property at the start of your career. But, if you look at the long term perspective, you’ll have a solid reason to work harder. But just like any investment, don’t rush into buying a house. Plan carefully or else, you’ll gain more debts than assets. Recently, my husband and I have been considering renting a townhouse. If we decide that the place is for us, then the plan is to hopefully buy it later on. However, I definitely appreciate your tips about things that we should do before we buy a place, because I think that someone who is renting, like us, should consider these things as well. Proximity to work and whether or not it stays within our budget is probably the most important thing to us. Yet, now that you mention it, I can see why checking out the neighborhood could be very important as well and so I am definitely going to take a look at the townhouse on Zillow before we agree to it.